I don’t know anything about brake fluid; what’s so special about it? Incompressible for efficient transmission of pressure from your foot to the wheel brakes and to give a good pedal “feel”. High boiling point to prevent boiling under the high temperatures experienced when braking. If a fluid boils, it produces bubbles of vapour and vapour is compressible. So instead of your foot compressing the brake callipers, it is compressing the vapour. Result? No brakes. Compatible with all parts of the braking system, be they plastic, rubber, metal or composite materials. Remains fluid at low temperatures – it should flow freely in very cold weather, even down to -50 °C. Brake fluid is a safety-critical product and its essential properties may be adversely affected by small quantities of any contaminant. Are there different types of brake fluid? Yes, there are three main types of brake fluid. So called “Conventional” or “Universal” brake fluids based on glycol ethers and designated DOT 3, DOT 4 or DOT 5.1. These are used by all the major vehicle manufacturers, and account for more than 99% of all brake fluid usage. Fluids based on Silicone. These can be used in normal braking systems but should not be mixed with conventional grades. Used by some classic cars and Military vehicles. Fluids based on Mineral Oil (LHM). These require special braking systems and are totally incompatible with conventional fluids. Used in some older Citroen and Rolls-Royce vehicles. Within the conventional grades there are many sub-grades. Why do I need to change my brake fluid? This is why all European vehicle manufacturers recommend a complete fluid change periodically. Why is ‘wet’ brake fluid dangerous? Vehicle brakes work by clamping a brake pad or shoe against a moving disc or drum. The resulting friction generates significant quantities of heat. While much of this heat is intentionally dissipated to the atmosphere, some of it will inevitably be transferred to the callipers and wheel cylinders which contain brake fluid. This will cause the fluid to heat up. If the temperature is allowed to approach the boiling point of the brake fluid, bubbles of vapour (gas) will form in the brake system. Unlike a liquid, a gas is compressible. Consequently, the next time the brake pedal is pressed, its travel may all be used in compressing the vapour, resulting in a complete loss of braking. This phenomenon is known as ‘vapour-lock’ and is, of course, extremely dangerous. The lower the boiling point, the greater the danger of vapour-lock occurring. By changing the brake fluid regularly this phenomenon can be avoided. Brake fluid deteriorates over time and is not greatly affected by distance travelled. Always follow the vehicle manufacturer’s recommendation on when to change the brake fluid. If no recommendation is given, for optimum safety the brake fluid should be changed every 18 months. What’s the difference between DOT 3, DOT 4, DOT 5.1 and ESP? The original grade DOT 3 was the standard brake fluid for many years, and it still is in some countries, particularly North America. However, DOT 3 grades tend to suffer from steep boiling point decline over time, and DOT 4 fluids were developed to counteract this. They contain polyglycol ether esters, which chemically bind the water and dramatically slow the decline in boiling point. 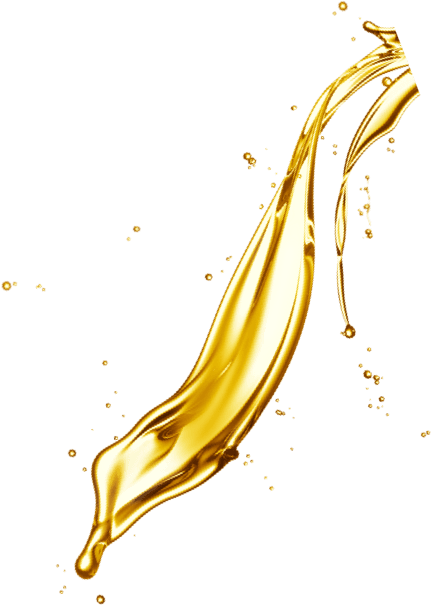 DOT 5.1 fluids are a development of DOT 4 having not only higher boiling points (and retaining them even better than DOT 4 in service) but also having a much improved viscosity (thickness) at low temperatures. More recently, to meet the needs of ESP and ABS systems, a new fluid grade was introduced – ESP. As yet, there is no DOT designation for this grade, although the International Standards Organisation (ISO) has designated it as Grade 6. What does the term “Wet boiling point” mean? The “wet boiling point” is simply a measure of how quickly the boiling point of a brake fluid will decline in service. Originally it was a rough approximation of the boiling point after two years, although improved braking hardware has lengthened this. The brake fluid is exposed to a humid atmosphere for a specified period of time after which the boiling point is measured. Is DOT 5 the same as DOT 5.1? No. DOT 5 is Silicone based. DOT 5.1 is Glycol Ether based. . The reason for this is historical. The DOT 5 standard was originally written for silicone brake fluids which have a much lower tendency to pick up water. However, it wasn’t long before conventional fluids were developed to meet the same standard – these were designated DOT 5.1. So are silicone fluids better than “normal” DOT 3, 4 or 5.1? No, not unless you are a classic car driver. Silicones have some major advantages (not least their lack of hygroscopicity) but this is more than outweighed by some major disadvantages. For most purposes conventional fluids are better. Is brake fluid an oil? So what is brake fluid made of? Brake fluid, dependent on grade, is made up of Polyglycols, Polyglycol Ethers, Polyglycol Ether Esters, and various additives. These are for corrosion inhibition, pH modulation, lubricity, and rubber-swell modification. Why do some cars need ESP brake fluid (ISO 4925 –class 6)? ESP fluid has been formulated with a low viscosity, which means it is a bit less viscous than normal. This allows automatic systems such as ABS or ESP to work quickly at low temperatures. These systems will still work with other regular DOT 3, DOT 4 or DOT 5.1 grade fluids but there may be some loss of braking performance. Can brake fluids be mixed? Yes, brake fluids conforming to DOT 3, Dot 4 and DOT 5.1 can safely be mixed although the performance of the higher specification products will be diluted. Silicone (DOT 5) and mineral-based brake fluids should never be mixed with any other types. I have an old bottle of brake fluid. Is it still O.K. to use? If the bottle has been previously opened it is probably better to discard it and buy new, unless you know the product is less than three months old and the bottle was resealed tightly. For unopened bottles do you know how old it is and how it has been stored? If it is still in a sealed bottle, less than 18 months old and stored in a cool, dry place, then it is likely to be quite safe to use. If you don’t know how old it is, work out the age from the batch number. What is the significance of the batch code printed on the bottle? The first character is a year code. Q = 2010, R = 2011, S = 2012, etc. Every letter is used. The next two characters are the week number of the year. The fourth character is the day of the week. A = Monday, B = Tuesday, etc. Note: Other manufacturers will have their own system of date coding/batch identification. They should be able to give an answer over the phone if you give them the code. Mineral based brake fluids (LHM) should be ‘green’. How and why were these colours chosen? Historically, brake fluids have been many colours. Both blue and crimson have been popular in the past and still are in some areas of the world. However, other automotive fluids are also coloured blue and red — antifreeze/coolants and screen washes, for example, are usually blue, while automatic transmission fluids are often red. Thus there was considerable potential for confusion and the use of the wrong fluid and in 1972 the FMVSS specified the above colours which has no doubt prevented many problems. Conventional (DOT 3, DOT 4 and DOT 5.1) brake fluids may therefore vary in colour from virtually water-white to a deep amber colour. It should be remembered that the actual colour has no effect on the performance of the brake fluid, but merely helps to prevent the use of an incorrect product. This fluid is darker / lighter than the brand I used previously. Why? As noted above (“What colour should brake fluid be?”), the colour of conventional brake fluids should range from colourless to amber. Where exactly the colour falls between these two limits will depend on both the base ingredients and the additive pack in use. Most manufacturers prefer to have fluids whose colour lies somewhere between these two extremes. Brake fluids should ideally have enough colour to prevent the product looking insipid and to allow the level in the master cylinder reservoir to be clearly seen, without being so dark as to be confused either with other red automotive fluids, or waste brake fluids when they are drained from the vehicle. I tested some new brake fluid with a brake fluid tester, and it failed. Why? Almost certainly, you were using a conductivity-type brake fluid tester. Although these are very cheap, they can give misleading and even dangerous results, and must not be used. Obtain a tester that will actually heat the fluid and re-test it. Most likely, you will get a very different result. For more information, see Technical Bulletin OTB001 – www.orthene.co.uk/bulletins/OTB001.pdf. Follow the vehicle manufacturer’s recommendations which will normally specify the minimum performance level of the brake fluid required by reference to an internationally recognised specification, such as the ‘DOT’ range. If no recommendation is given, a good quality DOT 4 brake fluid from a respected brand is suitable for all vehicles (except those requiring a mineral-oil based fluid such as certain Citroën models) and will provide sufficient safety margin for normal use. Most Vehicle manufacturers recommend DOT 4. What if I need greater performance? If it is intended to drive a vehicle in mountainous conditions, perhaps towing a caravan or unbraked trailer, or the vehicle is subjected to particularly arduous driving conditions, this can result in abnormally high brake fluid temperatures. Before starting out, the whole brake system should be checked and the brake fluid changed. For maximum safety, it is recommended that a brake fluid meeting a higher specification should be specified such as DOT 5.1. My vehicle handbook says to use LHM. Is that the same as brake fluid? NO. LHM and DOT-type brake fluids are very different. Do not mix them up. If the wrong fluid is used it can, and probably will, result in complete failure of the braking system. LHM stands for Liquide Hydraulique Minérale, which is French for Mineral Hydraulic Fluid. It is used in some older Citroën and Rolls-Royce vehicles. My vehicle handbook says to use synthetic brake fluid. Is this brake fluid synthetic? My vehicle handbook says use brake fluid meeting SAE J1703 –what is this? SAE J1703 is a standard issued by the Society of Automotive Engineers in the USA. It is technically equivalent to DOT 3. Similarly the standard SAE J1704 is technically equivalent to DOT 4. My vehicle handbook says use a DOT 3 brake fluid” – can I use a higher specification such as DOT 4? DOT 4 and DOT 3 fluids are compatible so technically there is no reason why you shouldn’t. In any case virtually all DOT 4 fluids from reputable brands also meet DOT 3. We do however always recommend that customers follow the Vehicle Manufacturer’s recommendations when adding brake fluid. For user safety, lower performing DOT specs should not replace higher – e.g. one should not use a DOT 3 in place of a DOT 4. I have been asked about / told to use vegetable-based brake fluid. Is this brake fluid vegetable-based? Brake fluids these days (at least in more developed economies) are not “vegetable based”. This goes back to the 1960s where the forerunners of today’s fluids were sometimes made from castor oil. Because of this some people still refer to DOT 3 or DOT 4 fluids as “vegetable based” What is usually meant is a synthetic fluid rather than a petroleum based product such as LHM. I have heard about “Super DOT 4” brake fluid –what is this? Be careful, there is not official specification or definition of what constitutes “Super DOT 4”. In the industry it is usually taken to mean a DOT 4 fluid meeting the DOT 5.1 criteria for boiling point and wet boiling point but not the low temperature viscosity. However it is legally open to anyone to call their DOT 4 “Super” and people actually do this. It is therefore a good idea to find out what anyone using the term means by it. Does brake fluid have a shelf life and if so what is it? Brake fluid does have a shelf life. It is hygroscopic (it absorbs moisture from the atmosphere) and this happens to a small extent even when packaged in closed bottles, As the product absorbs water, its boiling point declines. The magnitude of this decline depends upon factors such as the storage conditions, the wall thickness of the bottle, the type of closure used, the container size and material and the grade of brake fluid. So for brake fluids stored in a temperate climate, a shelf life of approximately 18 -24 months from the date of production can be expected. Under tropical conditions, the equivalent period would be 12 months. In practice, brake fluid containers that have been kept in stock for this length of time will begin to deteriorate aesthetically, gathering dust or showing signs of ageing such as fading of the labels etc. This imposes a practical shelf life as far as saleability is concerned. Whilst metal containers are better than plastic containers at preventing the passage of water vapour, in practice they also deteriorate externally over this period with external corrosion often becoming a problem. This once again imposes a practical shelf life. It is emphasised that brake fluid stored in closed containers does not suddenly become unsafe after its shelf life has expired. In fact, in certain cases it may be perfectly safe to use up to a period of 10 years or longer. However, after its effective shelf life has passed, it can no longer be guaranteed to meet the specification against which it was supplied. If customers require detailed shelf life predictions, we recommend that they contact Orthene’s Technical Department – technical@orthene.co.uk. Under what conditions should brake fluid be stored? As noted above, storage conditions influence shelf life. It is recommended that brake fluid packages are stored under cover in a dry and largely dust-free environment, out of direct sunlight at a temperature of 15 – 30°C. Large changes in humidity or temperature should be avoided where possible. How often should I check the level in the reservoir? What will happen if I let the level drop? If the level in the reservoir drops too far, there is a risk that you will introduce air bubbles into the braking system, which could mean you have no brakes (see “Why is ‘wet’ brake fluid dangerous?”). How much fluid do I need to buy to do a complete flush of my braking system? This will vary with each vehicle, but you will probably need about 1 litre of fluid to do a flush and refill of your system. I topped up my brakes with LHM (or another petroleum-based product) by mistake. What do I do now? LHM will damage the rubber components in your system – these will distort and swell, and may need to be replaced. The official advice is to completely strip your entire system, replace any rubber components and clean each metal part thoroughly using brake cleaner. Allow each part to dry completely before reassembling and bleeding through with the correct product. As an unofficial comment, the key thing is to remove the LHM as quickly as possible. If this is done and the system extensively flushed with the correct product (flush again after 24 hours) before substantial damage can be done to the seals then it MAY be possible to avoid the need to change all the rubber components which can easily “write off” an old car. However this must be at the owner’s risk. I topped up my brakes with power steering fluid. It’s basically the same, isn’t it? NO. You will need to strip your system in the same way as for LHM (see above). How do you flush a brake system? My handbook doesn’t tell me. Do not attempt any work on your brakes unless you are competent to do so. Mistakes could lead to fatal results. In the absence of any guidance from the manufacturer, customers are referred to one of the good DIY manuals (e.g. Haynes). Is brake fluid environmentally hazardous? No. Conventional DOT 3, 4 or 5.1 brake fluids are water soluble, biodegradable and of low environmental toxicity. That said responsible practice dictates they should never be disposed of down the drain but taken to a local recycling centre. How should you clean up spilt brake fluid? For small quantities, soak up any spillage using rags or other suitable absorbent and clean / flush the affected area with plenty of water (Brake fluid is water soluble). Larger quantities should be confined using sand or earth and pumped into a salvage container. How can you dispose of waste brake fluid? Can I tip it into the waste oil drum? No. This is irresponsible, and you may find that your waste collector will not accept the waste oil. Collect waste brake fluid separately in a clean bottle or drum and get it collected separately. Waste brake fluid is recyclable, but it must be kept separate to be able to recycle it. Domestic consumers may take waste brake fluids to the household waste site provided by your local council. For details of a suitable waste collection facility, please visit www.wastebrakefluid.com. Why must waste brake fluid be kept separate from other wastes? Firstly, under EU law both waste brake fluid and waste oils are hazardous wastes and therefore should not be mixed. In theory, mixing could result in a prosecution. Secondly, brake fluid is not a mineral oil and does not mix with mineral oil. Although the fact is not often appreciated, where waste brake fluid is mixed with waste oil the brake fluid separates in the water phase (which is almost always present) and has to be disposed of, thereby raising the cost of the recovery process. Re-processors of waste oil therefore have an incentive to collect waste brake fluid separately. Thirdly and very significantly, the EU is currently driving governments to fully implement the 1975 Waste Oil Directive. This states that waste oil should be reprocessed into new oil, rather than used as a fuel. In future therefore, governments of member states will not be allowed to subsidise the conversion of waste oil into a fuel, but must rather make provision for recycling. Where this is done, brake fluid becomes an undesirable contaminant, which again has to be removed and disposed of at a cost. Brake fluid strips paint, doesn’t it? Does that mean it is corrosive? No. Brake fluid strips paint because it is essentially the same chemistry as paint, and acts as a solvent. Is brake fluid toxic or harmful in any way? Conventional DOT 3, 4 or 5.1 brake fluids are of relatively low toxicity their main hazardous effect being an irritant effect on the eyes. They should of course never be ingested (swallowed). For further details see the appropriate Material Safety Data Sheet. One of our staff has got brake fluid in their eye. What should we do? Flush the eye with water for 10 minutes holding the lids apart. If any irritation persists get medical attention. Will brake fluid damage or stain my hands and how should I clean them. Brake fluids will not damage or stain your hands unless immersed for long periods. Extensive contact may cause drying of the skin which is reversible. Clean hands or other affected body part with soap and water. In case of contact with eyes see above. More details are contained in the appropriate Material Safety Data Sheet. HELP, someone (usually a child) has swallowed some brake fluid. What should I do? Get medical attention immediately. If possible show the medical personnel the bottle concerned.